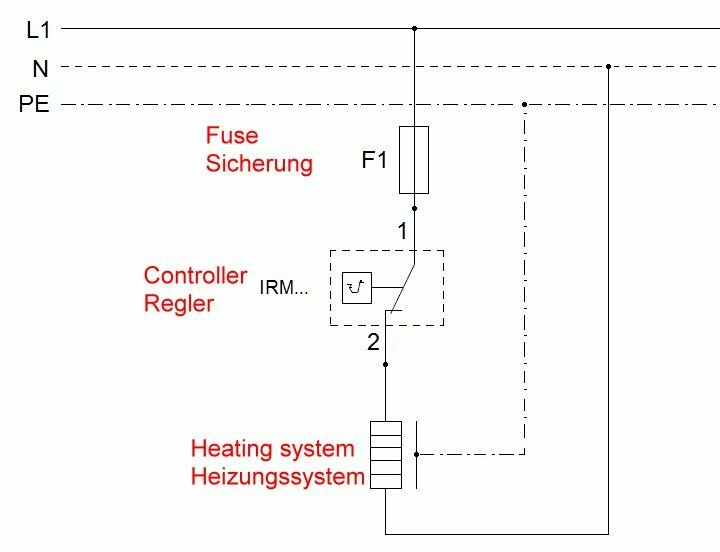 The fail-safe Ex-Temperature Controller devices of the IR2M-Series are mechanical 2-point capillary temperature controller. 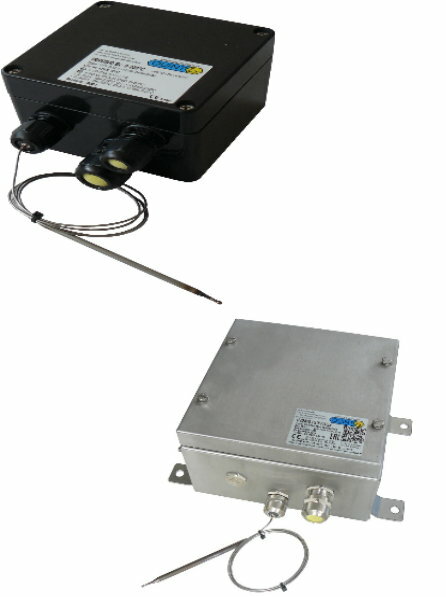 The black glass-fibre-reinforced polyester enclosure as well as the stainless steel enclosure (both ATEX/IECEX and NEMA 4X approved) is very rugged and is used as a connector for single core heating cables as well as self-limiting heating cables. This controller can handle a switching capacity up to 16A directly. When exceeding the adjusted temperature, the controller switches off.